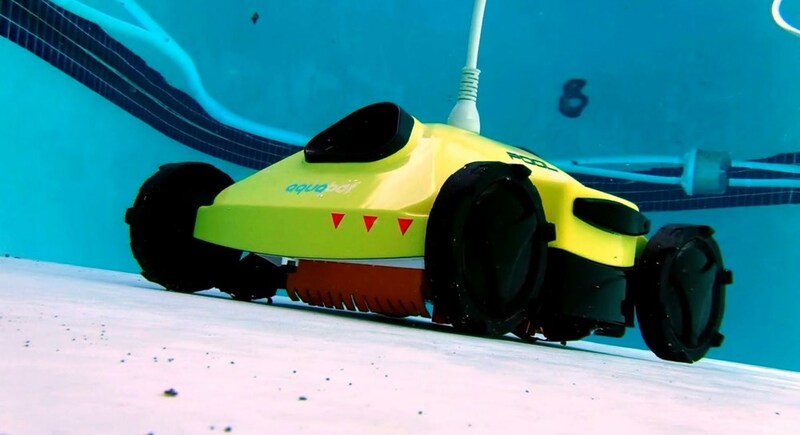 We designed the Aquabot Pool Rover for sleekness. This isn’t just for looks - the slimmer design allows the Rover to maneuver the pool more thoroughly and efficiently. The Rover can cover 8,000 sq. ft per hour and can clean your average pool in around two hours. Unlike standard pool cleaners that hook up to the pools filtration system, the Rover has it’s own internal fine mesh filter. Simply plug the Rover into the power source and drop the rover into the pool. We thought about the yucky stuff too. Because the Rover doesn’t use the pool filter, we needed to come up with a hassle-free way for the user to remove the waste. We made tons of foam-core mock-ups to experiment with different ways to open and clean the Rover. Higher efficiency means less chemicals. By integrating exceptionally strong pumps, not only does the Rover clean quickly, it churns the water while it does so. This keeps the chemicals in the pool thoroughly mixed requiring less chemicals in general.